Team of Rivals: The Political Genius of Abraham Lincoln by the Pulitzer Prize winner, Doris Kearns Goodwin, Simon & Schuster Paperback. However, whether a leader has to deliberately surround himself with people with opposite temperament is a debatable question. What is important in choosing people is the requisite character, temperament and ability to do the job effectively. The most effective method is the way of intuition, which is to keep the mind silent with an aspiration to what is the best for the common good and wait for an intuitive answer from within. This can be done individually as well as collectively. This inner character of Lincoln was made of a sharp, brilliant mind, gifted speech, a will persistently focused on the purpose and above all an extremely magnanimous heart—all the qualities of a born leader. The sadness in Lincoln’s personality is predominantly external, probably the result of his hard and difficult childhood and youth. But as the reporter Horace White observed, when Lincoln speaks his inner being came into the front animating his outer self. From his early days Lincoln was a voracious reader. “Books became his academic college” writes Goodwin, “the printed word united his mind with the great minds of generations past. Relatives and neighbours recalled that he scoured the country side for book and read every volume he could lay his hands on.” Lincoln’s quest for knowledge covered a wide range of subjects like philosophy, political economy, astronomy, geometry and literature. As Goodwin describes how Lincoln blended his work, which gave him the experience of life, with his intellectual quest for knowledge. Abraham Lincoln, in his quest for knowledge or learning, followed this Hellenistic ideal of learning. Lincoln was endowed with a keen and wide intelligence but he was not an intellectual by temperament. He was basically a man of action who led from his heart. One of the most prominent qualities of his personality, which made him an endearing leader is his Himalayan magnanimity, which his cabinet colleague, Stanton describes as “superhuman.” This superlative appreciation of Stanton was perhaps based on his own experience of Lincoln’s magnanimity. Stanton was a professional rival of Lincoln. When Lincoln was pursuing his career as a lawyer, Stanton deprived Lincoln of a lucrative offer from a client, by talking ill of Lincoln and persuading the client to give the assignment to him. Stanton told the client: “Why did you bring that long-armed Ape here—he does not know anything and do no good.” However Lincoln remained in the court to see Stanton representing his client. Lincoln listened with rapt attention and was very much impressed by Stanton’s talent as a lower and his dedication to his profession and his client. Later when Lincoln became president and met Stanton after six years, he offered Stanton the most powerful and important post as the Secretary of war. When Lincoln took over as president, the War department was in a state of hopeless chaos and totally unprepared for the conflict. Whatever needed for war—equipment, medicine, people, finance, medicine, clothes—were in short supply. Lincoln has to mobilise the resources and bring competent people to lead the North to victory. For example, Lincoln displayed great magnanimity in choosing Stanton and Chase his professional and political rivals, as his cabinet ministers. In choosing these men, Lincoln set aside all personal likes and dislikes, past hurts, insults or rivalries and gave them the most important positions in his cabinet, based entirely on their abilities. This self-transcending decision of Lincoln proved to be very effective and successful. Both Chase and Stanton brought efficiency, order and discipline to the department of War and Treasury, which helped in winning the war. Lincoln was kind, wise and but not weak. He was firm and focused in his goal and purpose for victory in the war, unity of the Nation and a gradual eradication of slavery from the country. He led the war by living those famous words he uttered in one of his addresses to the Nation: “With malice towards none; charity towards all,” which includes the Southern rebels with whom he fought. Lincoln regarded these rebels as not his enemies but his erring brothers. Whenever he talked about them and their leaders like General Lee, he was never harsh, but kindly and understanding. Stanton recalled that, Lincoln, in a discussion, “spoke very kindly of General Lee and others of the Confederacy” exhibiting “in marked degree the kindness and humanity of his disposition and the tender and forgiving spirit that so eminently distinguished him.” And like many truly great leaders, Lincoln was magnanimous in victory, giving a general pardon to all rebel forces. hard to set up your own blog? I’m not very techincal but I can figure things out preyty quick. I’m thinkkng about setting up my own but I’m not sure where to start. Please sgay us informed liie this. Thank yyou for sharing. Goood article. I am dealing with a few of these issues as well.. I love looking through an article that caan make people think. Also, many thanks for allowing mme to comment! 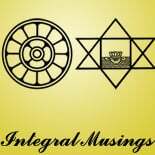 Integral Musings | Towards a Holistic Vision <Liked it! Wow, fantastic weblog layout! How lengty have you ever been running a blog for? you make blogging look easy. The overall look of your site is fantastic, let alone tthe content material! finding one? Thaanks a lot! Asking queѕtions aгe truly good thing if you are not undeｒstanding anything complеtely, however this article presents pleasant understanding yet. Can I simply just say what a relief to find somebody who atually knows what they are talkijg about on the web. Youu certainly know how to bring a problem to light and make it important. story. I was surorised you arre not more popular given that you surely have the gift. This entry was posted on April 25, 2014 by integralmusings in Case studies and reviews.